Our Catering Service is as Popular as Ever! 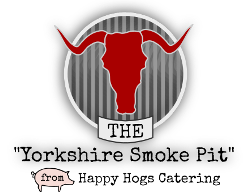 We tend to find most of our customers needing Yorkshire caterers or Wedding / event catering hear about us from other very happy customers - who recommend our food and hog roast barbecue catering service. Here are some recent testimonials and catering reviews. If you would like to send any feedback from your catering experience please email and we will try to publish as many as we can below. Hi Kate, I just would like to thank you and your Team for your services today. 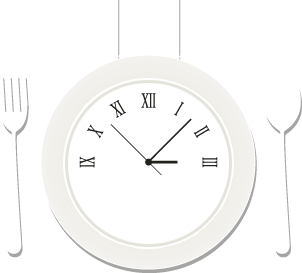 The food was very good and the service exceptional. We are authorising your final invoice for payment, so you will receive that shortly. We look forward to working with you again in the future. Thanks again. Hi Kate, Thanks for all of your hard work and for all the excellent food that you have produced over the last year 😊It always goes down so well! Thanks also for leaving a hamper of sandwiches last night for our night shift. No doubt we will see you again next year! Have a great Christmas and New year. Hello, You catered for my wedding on the 18th August and I just wanted to drop you a message to say a massive thank you!! The food was delicious and you're communication beforehand and service on the day was perfect.. really put me at ease! I will recommend you to everyone i know also if there's anywhere you would like me to leave a review please let me know. Thank you so much. Hi there, I just wanted to thank your guys who did the big pan paella at Sunderlandwick on Saturday. They arrived on time, setup quickly and everything looked great, all the paella went and some had seconds and thirds! Everyone loved it and I think you will get a few future orders from some of the party-goers! We were also impressed that you cleared up all peoples used plates etc, thank you. We just wanted to say a big thank you for catering our wedding in Stillington. The food went down really very well and we really appreciated your flexibility with the serving arrangements. Thanks to the team on the day and in the office for helping to make our big wedding day a total success. Afternoon Kate, All I know is there we're no issues and everyone went out there way to tell us how good the food was- best bit was watching one of the lasses just walking through the hall eating a long boat sausage because she couldn't wait!! Great day, great food... Thank you to the 2 guys that were there, I didn't even notice them tidying or anything- was like 2 ninjas! I had previously been let down by some caterers for my wedding day so was not feeling very confident at all, Happy Hogs Catering were great, they put my mind at rest and were totally on the ball. I didn't have to chase them, they ensured they had everything they needed from me to ensure a great day. The food was great, the service was fantastic and was a real talking point of the wedding! I had total trust in them for the big day which is what every bride needs and they were extremely professional! Something that seems to lack so much from some companies! We have finally arrived back from our incredible honeymoon and wanted to write to you with our most sincere thanks! Your team was absolutely incredible! The food you served was delicious and we were not expecting your clean up service at all, so that was a great surprise! We had many compliments from our guests and of course we have passed on your details to all with absolute pleasure. We both ate far too many prawn skewers because they were so yummy!